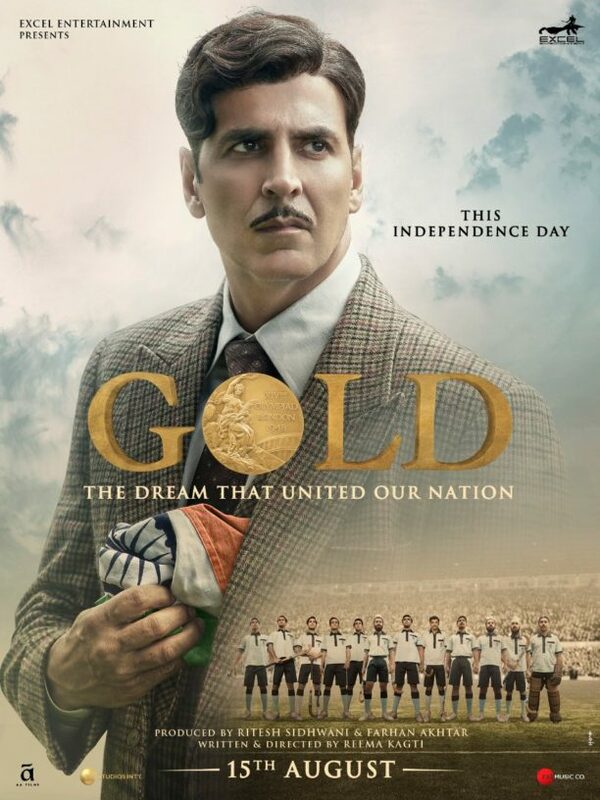 Poster: Akshay Kumar’s inspirational story Gold releasing on August 15th! The significance of the gold medal is particularly important as it represents the dream that united a nation when India won its first gold medal as a free nation on the 12th of August 1948. The same date this year commemorates the 70th anniversary of this historic feat. Interestingly the actors trained for the hockey scenes but they had to train for hockey 30 years ago and those rules, but more on that later! Directed by Reema Kagti, the film is produced by Excel Entertainment (Farhan Akhtar and Ritesh Sidhwani) and stars along with Akshay, Mouni Roy, KUnal Kapoor, Amit Sadh, Vineet Singh and Sunny Kaushal. Inspired by true events, the story captures the emotional journey of a nation celebrating its right to be seen and heard as an independent state, achieving a dream which will unite an entire country. We will have much more about this exciting project so stay tuned!